Russia's state media has announced that its navy will begin testing a submarine capable of carrying six thermonuclear warheads. RESTRICTIONS: Broadcast: NO USE JAPAN, NO USE TAIWAN Digital: NO USE JAPAN, NO USE TAIWAN Russia's state media has announced that its navy will begin testing a submarine capable of carrying six thermonuclear warheads. According to The Barents Observer, Russia's new naval submarine called 'Belgorod' will be the world's longest submarine ever built, measuring 184 meters. 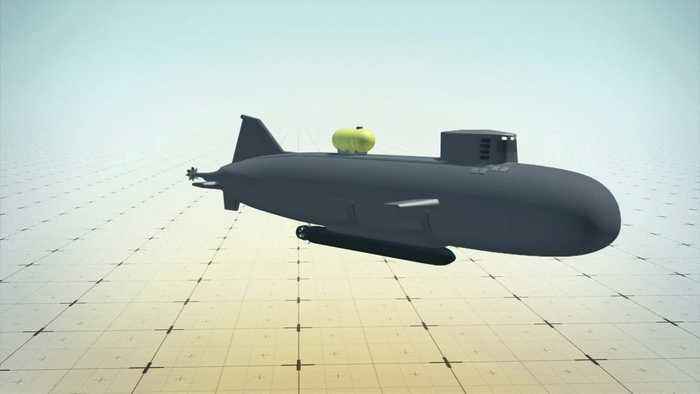 Russian state media, TASS, reports that the Belgorod will be able to carry six underwater 'Poseidon' drones. Each of these drones is capable of carrying nuclear warheads weighing up to two megatons. Their operational depth is 1,000 meters, making them difficult to intercept. Foreign Minister of Norway Ine Eriksen Soreide told The Barents Observer that it was "worrying that countries are developing new nuclear capabilities." According to Russian state media, the Belgorod will be deployed by summer 2019. Russian submarine, 'Belgorod' dimensions 2. 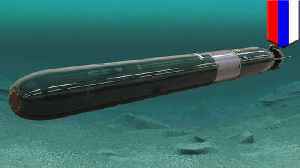 Six underwater drones carried by Belgorod 3. Weight of each drone 4. 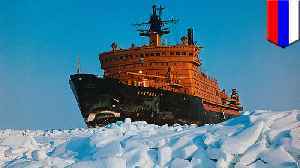 MOSCOW — Russia's state media has announced that its navy will begin to test a war submarine capable of carrying six thermonuclear warheads. 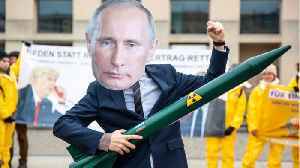 According to The Barents Observer, Russia's new war..
Russian president Vladimir Putin signed a decree suspending implementation of the Intermediate-Range Nuclear Forces Treaty. He also said his security agencies stopped nearly 600 foreign intelligence..
Russia Threatened to Vaporize US Cities. These Are The States That Should Be Concerned. 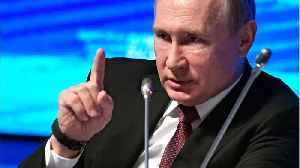 Public domain Russian media on Sunday made a shocking threat by saying the country's military could vaporize various locations in the US with new missiles. 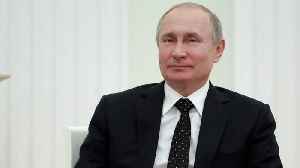 But Russia's list included some strange..
Russian President Vladimir Putin has warned he will target the U.S. with new missiles if Washington deploys land-based weapons in Europe. Gracie Jerome reports. 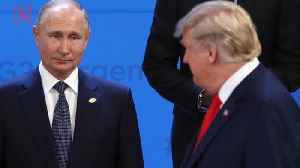 According to Reuters, on Wednesday t he United States dismissed comments by Russian President Vladimir Putin that Moscow would match any U.S. move to deploy new nuclear missiles closer to Russia as.. 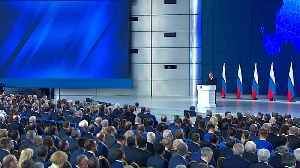 In a speech, Russian President Vladimir Putin issued a warning that if the U.S. deploys more weapons in Europe, then Russia could point its new weapons at the U.S. Veuer's Justin Kircher has the story.